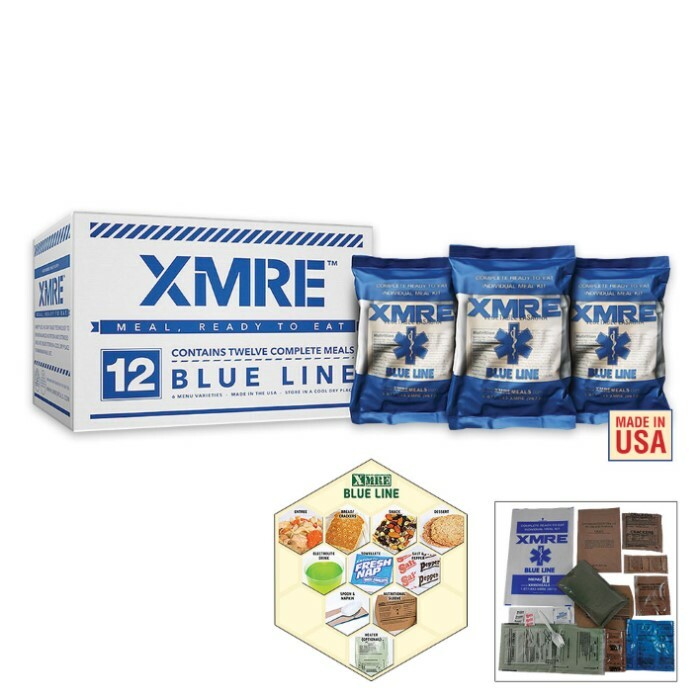 XMRE Blue Line Meals Case With Heater | BUDK.com - Knives & Swords At The Lowest Prices! 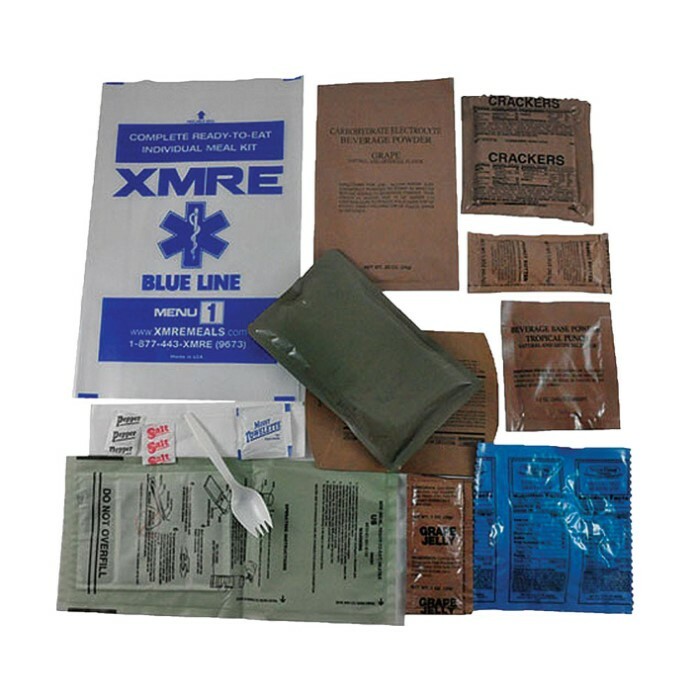 Specially formulated for medical facilities, universities and emergency preparedness agencies, XMRE Ready Meals are the only ready-to-eat-meals out there that were created with the help of medical professionals. These meals are specifically engineered to give you balanced carbohydrates to help you regain the energy you need when it really counts. The hydration packs also have added electrolytes to help you maintain your health stability during an emergency situation. 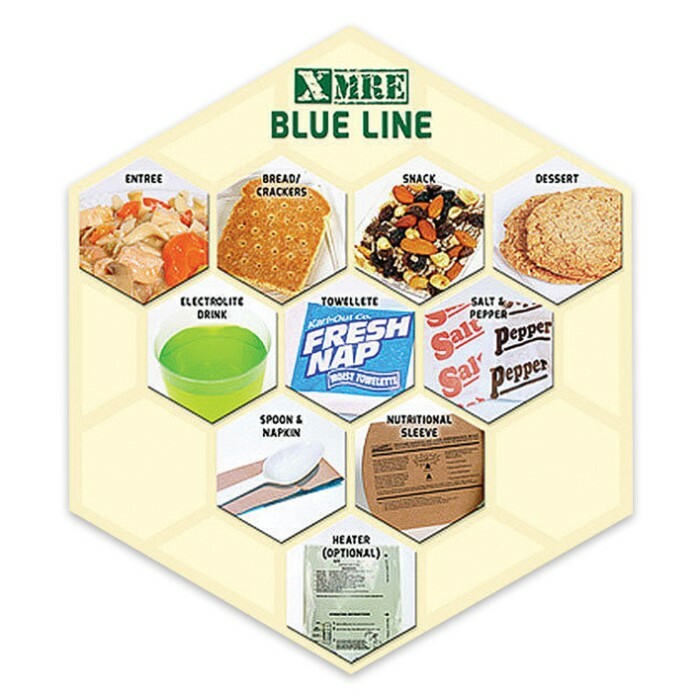 Each complete meal contains a bread item, 2-3 snack/side/dessert items, 1-2 beverages, an accessory pack and a flameless heater. There are 12 meals in this case. This product is made in the USA.